You could make the argument that the purpose of the Alpine boot is to put the skier in this forward-biased position and hold him or her there through thick or thin. Reading these words triggered a spider-sense tingle in the mind of Jack Rafferty, a practicing Pedorthist in Snowmass Village, CO, since 1980 and an instructor at Masterfit University for the past 25 years. (Among other classes, Rafferty conducts a seminar called Dark Arts Strange & Unusual, dealing with the most exotic and challenging boot fitting cases.) 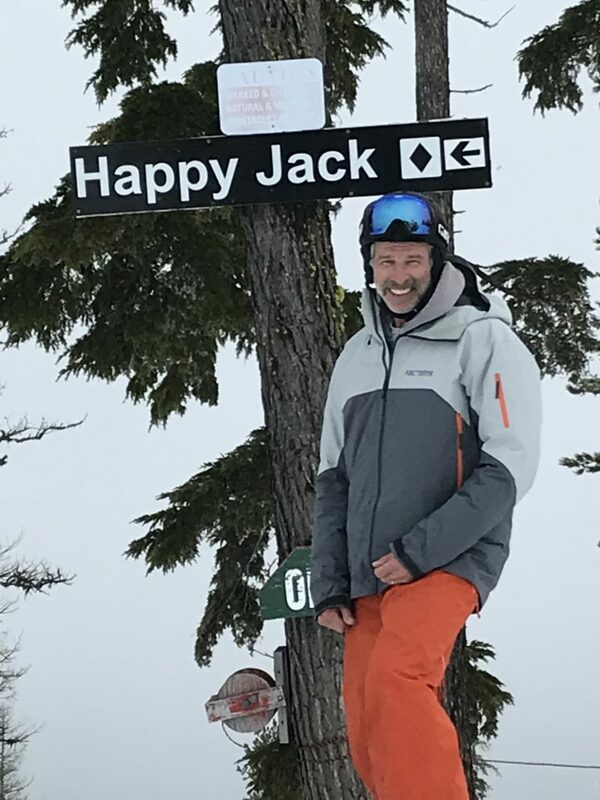 He also works with the Aspen Ski Company and the Aspen Orthopedic Association, treats numerous professional athletes from a variety of sports and is developing hard goods training programs for Vail Resorts Retail. Point being, Rafferty knows his stuff. When he tells you he takes issue with your statement about boots, you listen. Rafferty’s beef was that my words reinforced a widespread belief that any ski boot will automatically act like a cast, holding the skier in the best stance for skiing. His objection isn’t that ski boots can’t, indeed, do exactly this; it’s that the boot will only hold the skier in the ideal position if it’s been accurately fit and the skier operates it properly. 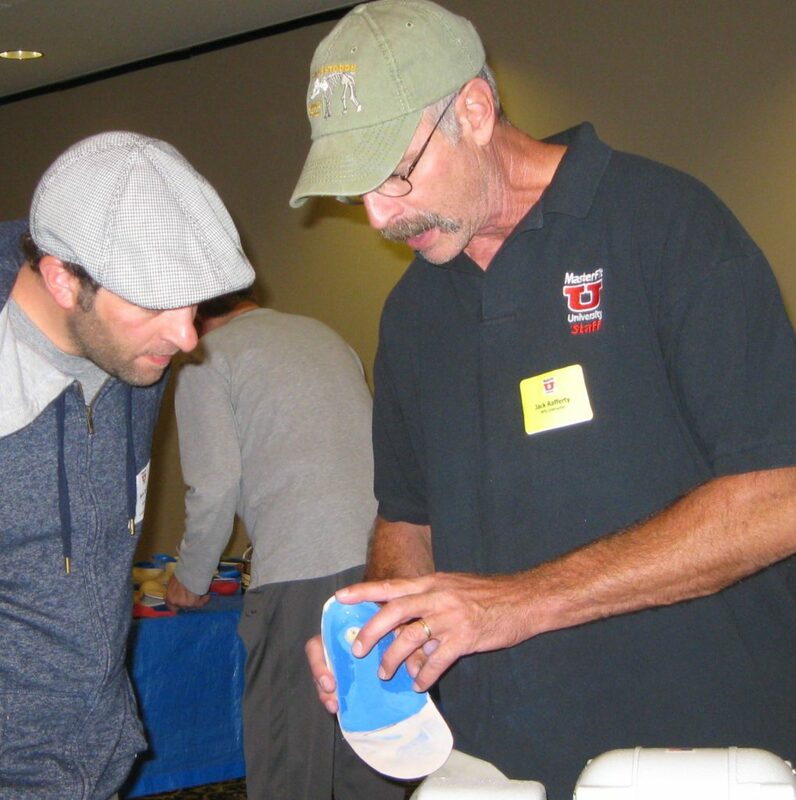 Jack Rafferty explaining the finer points of footbed grinding to an attendee at Masterfit University. The season’s last session of this invaluable, hands-on program is October 28 & 29, in Reno, NV. Boots begin to deliver feedback the instant your heel hits the insole in an unbuckled boot. If your toes are touching the end, your boots are telling you to buckle up and flex into the cuff. If your toes touch when skiing, the message is the same: bend the ankle to actively engage the cuff so it hinges and flexes as it’s supposed to. Many messages a boot may send are signals that the boot is over-sized. Loss of circulation, shin bang, ankle bone pain, cramping calves, lifting heels or when you find yourself cranking every buckle until the plastic distorts and the buckles creak, are all indications that your boots are too big. A boot that’s too big is never going to allow the skier to center their balance or flex correctly, which makes skiing almost impossibly difficult. Dynamic skiing requires ankle range of motion so the lower leg can engage and maintain contact with the tongue. Sustained forward pressure is what enables the development of proper muscle memory and skills progression. It’s easy to spot the skier who can’t articulate at the ankle: he or she will be contorting every other body part into exaggerated angles in an exhausting and futile effort to flex forward. It’s almost as painful to watch as it is to endure first-hand. Jack at the Silver Mountain Boot Test last spring where he soldiered on despite an injury that would have discouraged most people from boot testing in the rain. Buying a ski boot isn’t like other shopping experiences. A good bootfitter isn’t simply a salesperson, but a technician, a mentor and a player/coach. They already know their customers want their boots to be warm and comfortable. The real challenge is finding just the right shell and liner out of dozens of options and matching it to your physiology and kinetic chain while keeping you in the loop with the sequence of decisions that will lead to the right solution. 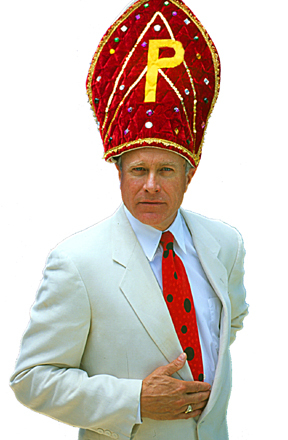 Rafferty is currently on a crusade to improve the lot of the least educated and most abused skiers on the hill, rental customers. Their chances of knowing how to operate a ski boot properly hover near nil. Sending them out in misfit rental boots is akin to renting a car with bald tires, a bad suspension and no connection with the road. Rafferty is quick to add that renters aren’t the only skiers who could use more education about their boots so they’ll be better operators. “Everyone needs coaching,” concludes one of the world’s best educators in the arcane specialty known as bootfitting.